While you may be well aware of facial aging, the average person likely has no idea what SMAS is or stands for. However, knowing how the SMAS relates to facial aging can help you understand why certain facelift techniques are far superior to others. The SMAS, or Subcutaneous Musculo-Aponeurotic System, refers to the supporting framework of the face. This facial layer of connective tissue is what envelopes the muscles in the face that create animation or movement. The SMAS is found under the skin and helps to support the tension of a facelift. The SMAS plays a significant role in the aging process. As we age, the SMAS weakens in it support. In other words, its ability to hold up the muscles, fat and skin of the face will diminish over time. This process, combined with the toll of gravity and environmental factors, causes the facial features to sag and lose their youthful vigor. Patients may notice that jowls form, their neckline sags and furrows between their cheeks and nose start to deepen as they age. In the past, a facelift surgery to counteract wrinkles and sagging skin involved simply removing loose skin and pulling the remaining skin at incisions around the ears or hairline. Unfortunately, this can create an “over-done” look and unnatural results. It also required a great amount of tension at the incision site and resulted in complications and deformities at the ear and hairline. Today, the most skilled and experienced plastic surgeons work beneath the skin layer and tighten and reposition the entire SMAS layer. SMAS lifting provides the most natural-looking and longest lasting results. There are multiple different techniques of SMAS tightening, including sutures plication, SMASectomy and a sub-SMAS (deep plane) face lift. 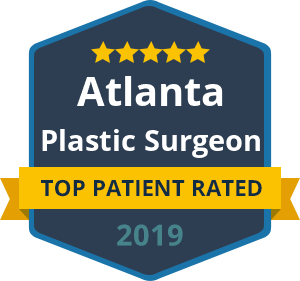 Dr. Talei uses a unique and highly distinguished deep plane facelift technique to provide patients with the very best possible recovery and outcome in facelift surgery. Instead of focusing on skin pull and removal, a deep plane facelift focuses on release and movement of muscle and fat layers in order to restore them to a more natural and youthful position. An extended deep plane facelift can specifically address the mid-face region, correcting sagging cheeks and restoring a balanced, youthful appearance. The next time you notice your wrinkles, jowls, or sagging cheeks, you’ll know that your SMAS is losing its hold. 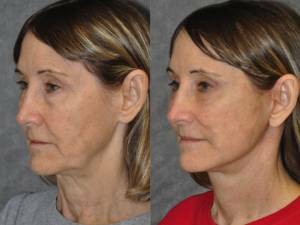 If you want to reverse this process, consider a deep plane facelift or SMART facelift procedure at Beverly Hills Center for Plastic and Laser Surgery. His techniques allow even the most significant and substantial changes in the face to appear very natural and un-operated. Want to hear more about SMAS lifting techniques and what to expect during recovery? Call Dr. Talei for a consultation. « What Is Botox Immunity?